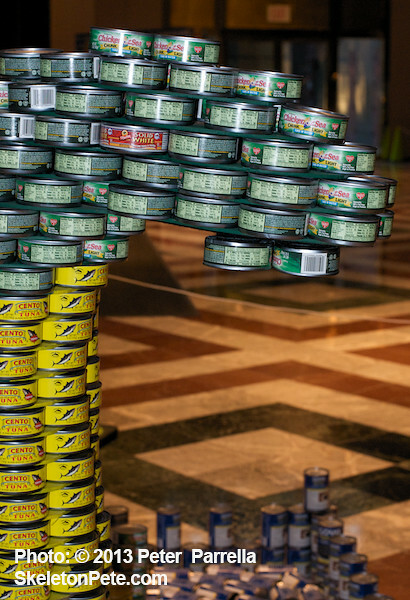 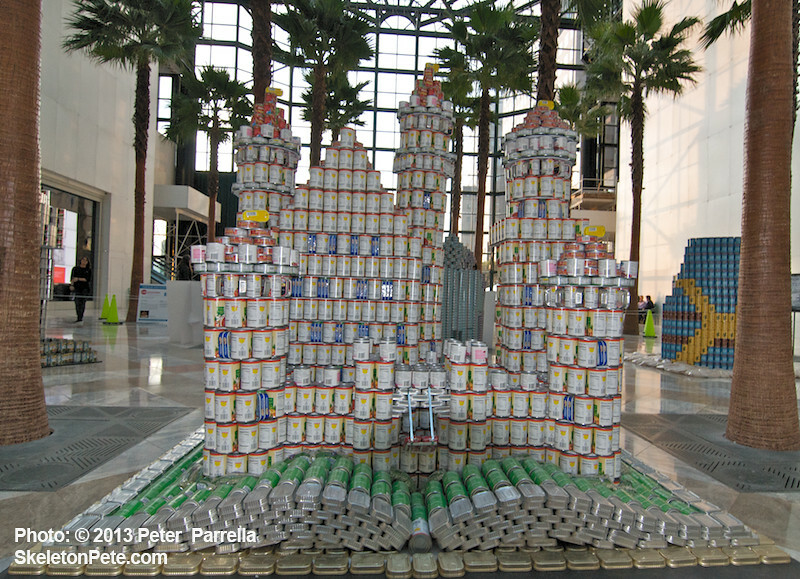 Brookfield Place, at the World Financial Center in lower Manhattan, is once again the home of an amazing array of constructs created solely from canned and packaged foods. 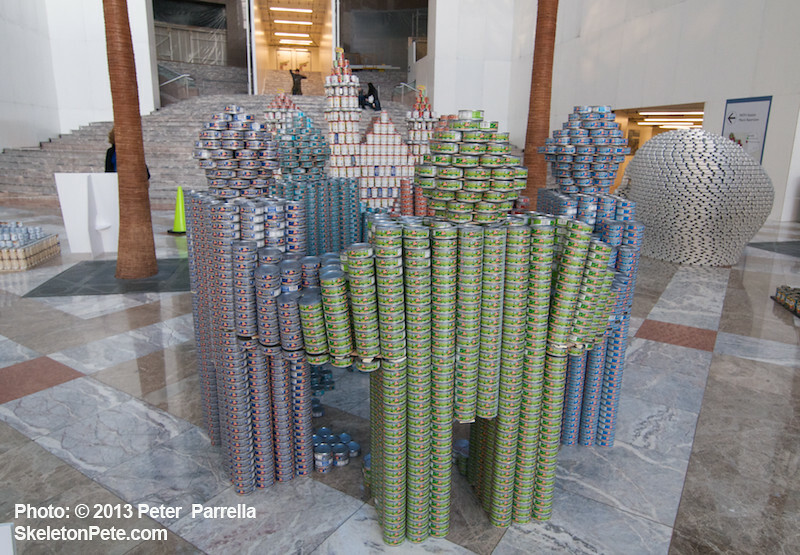 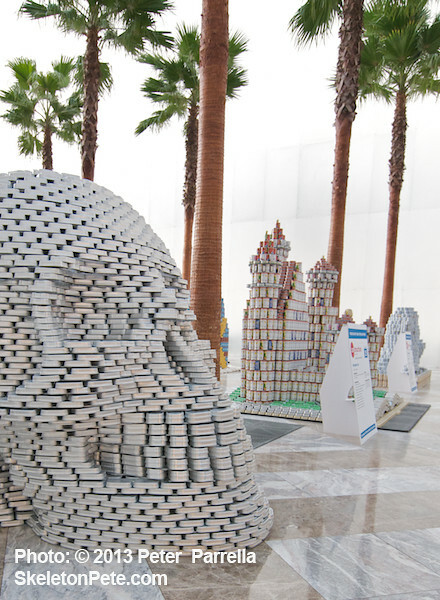 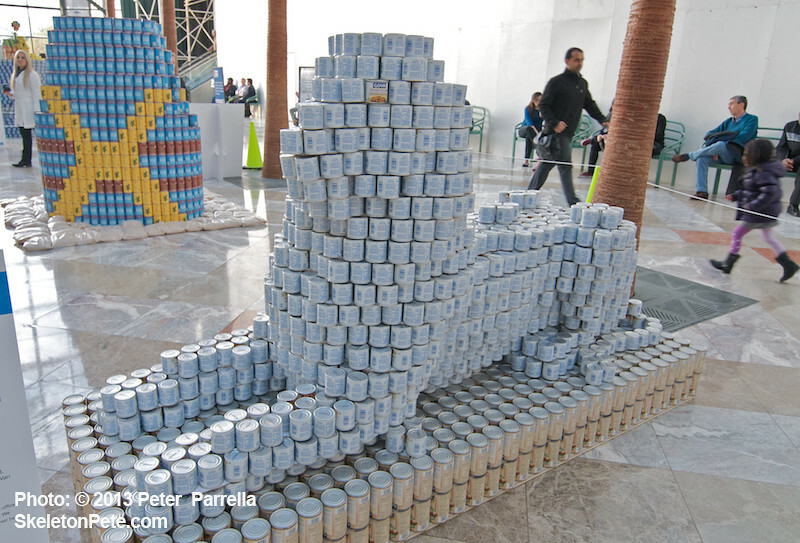 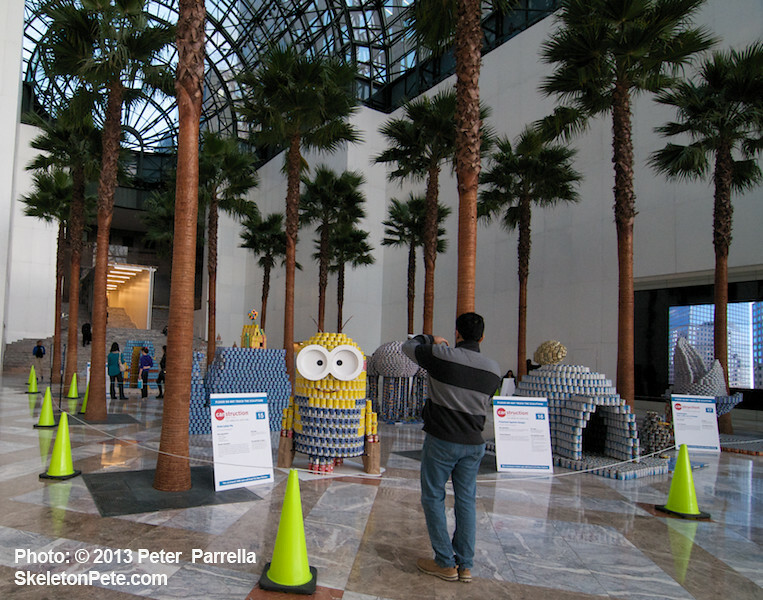 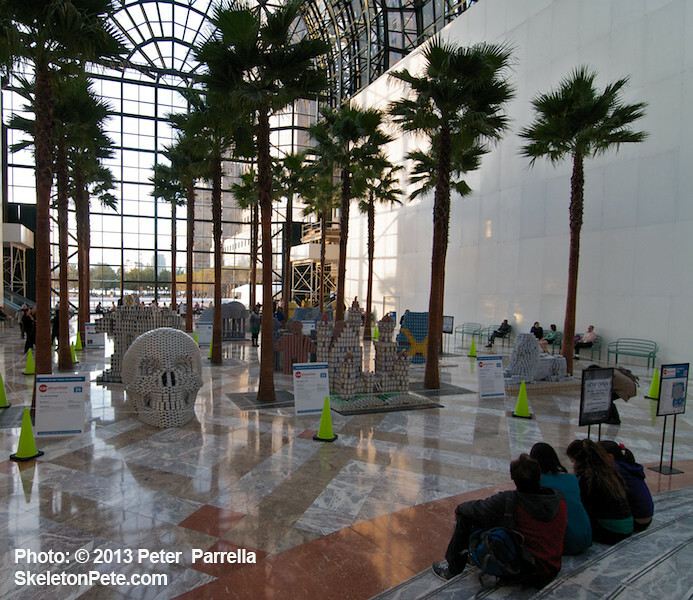 The Arts Brookfield Winter Garden area, with it’s spectacular view of the Hudson River and incongruous – for NYC – palm tree grove, is hosting the 21st Annual Canstruction display of crafty creations until November 13, 2013 from 10 am to 6 pm. 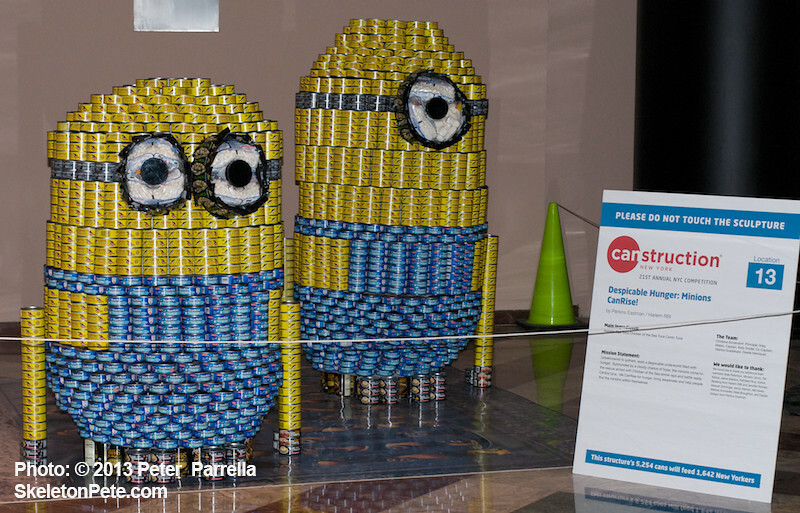 The pieces represent a wide breadth of iconic pop themes from Despicable Me minions and a Star Wars Imperial Walker, to Lady and the Tramps’ spaghetti sharing CANines (ouch!) 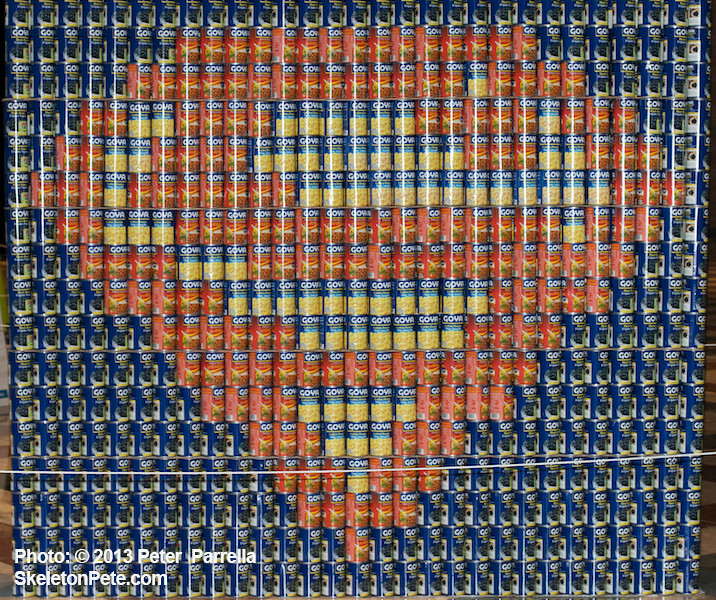 and the Batman and Superman logos. 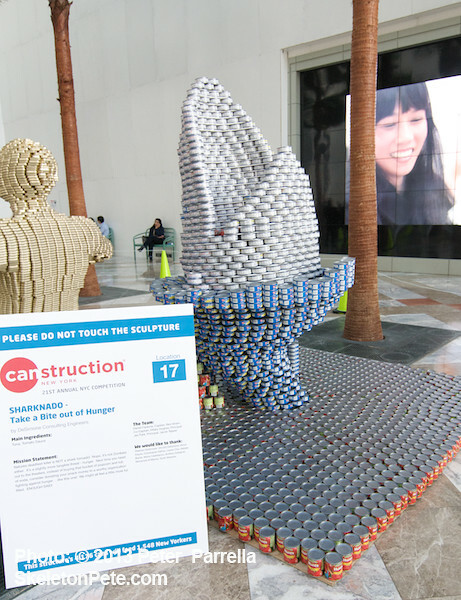 Even the seemingly inescapable Sharknado is represented. 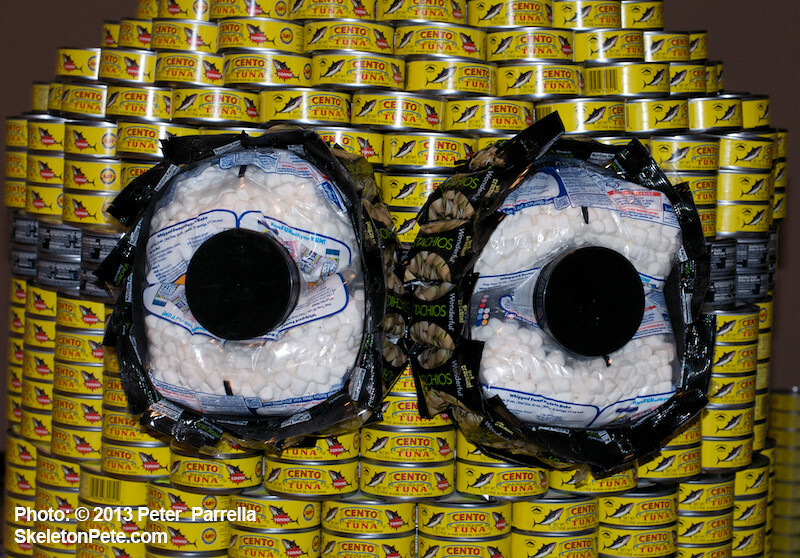 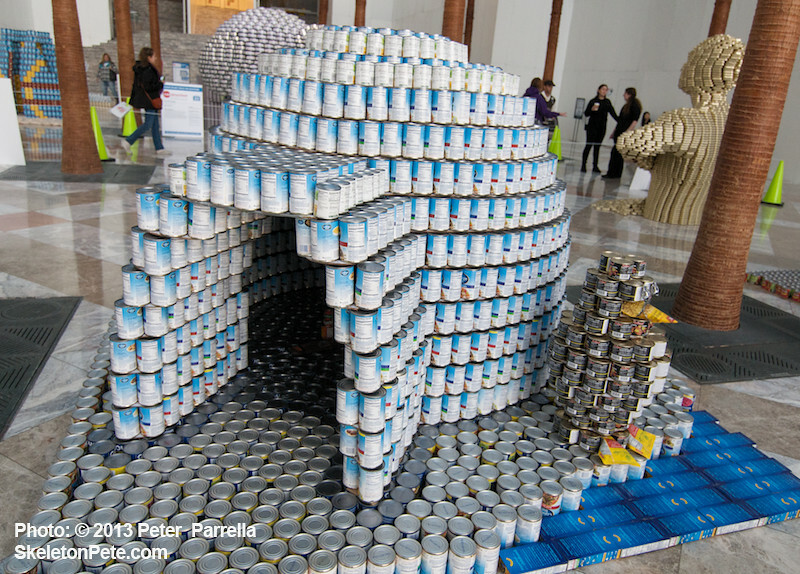 There’s an igloo with penguin, a storybook castle, and a gigantic silver sardine can skull. 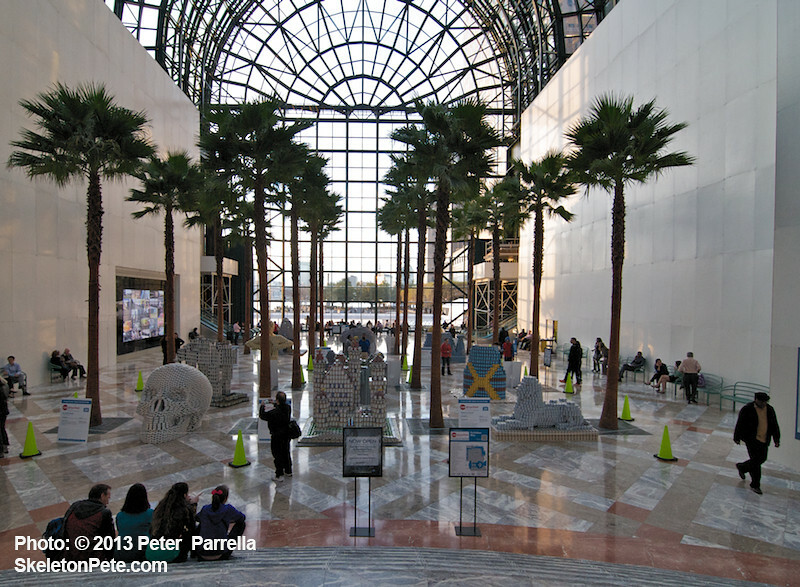 They must have known I was coming! 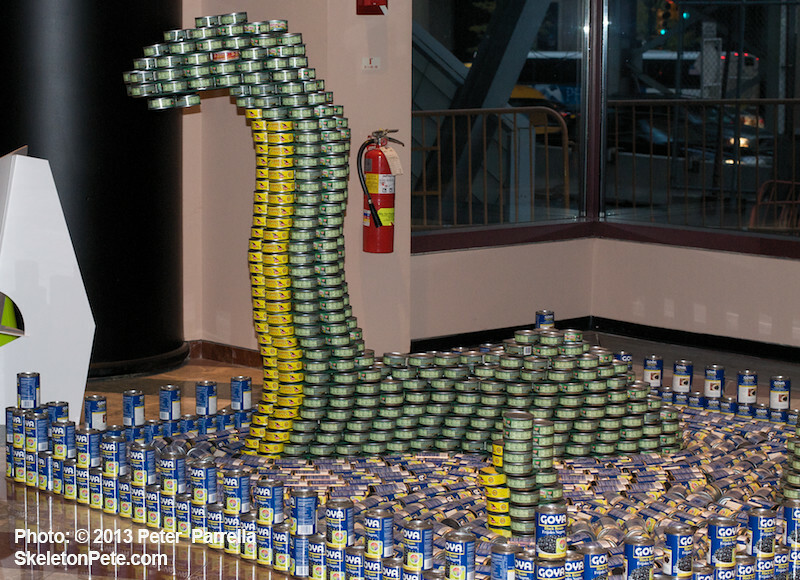 The Stack-CAN Island Ferry is a local fave, while the nearby Loch-CAN-ness Monster pops its serpentine tuna can head above a Goya Bean lake. 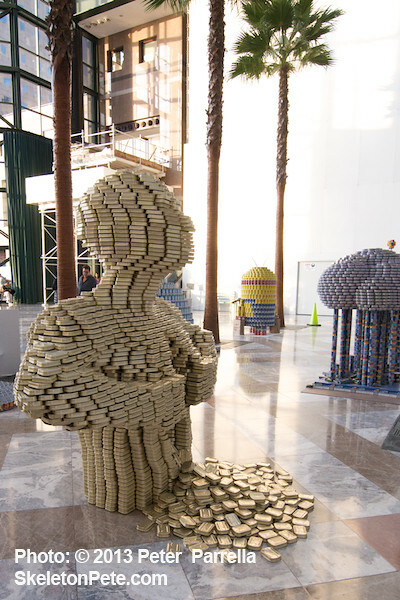 The goal behind this competitive artistic endeavor is to raise awareness of and collect food for those in need throughout the world. 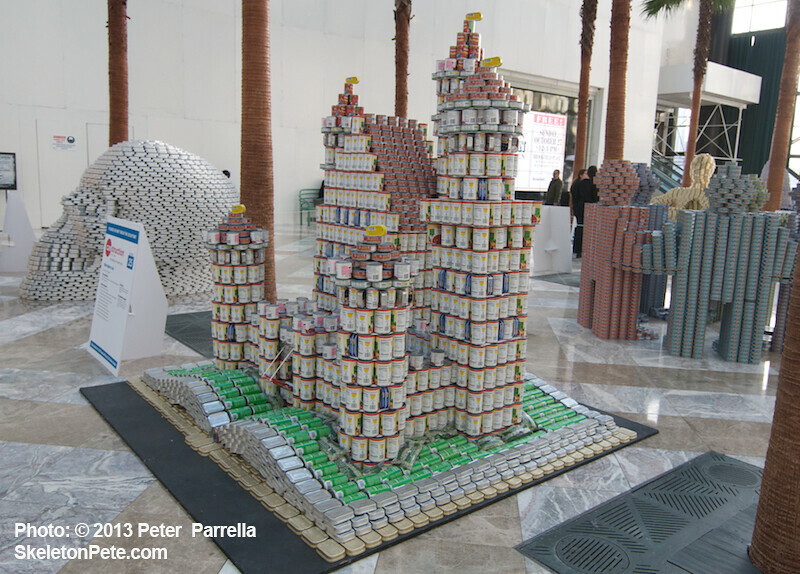 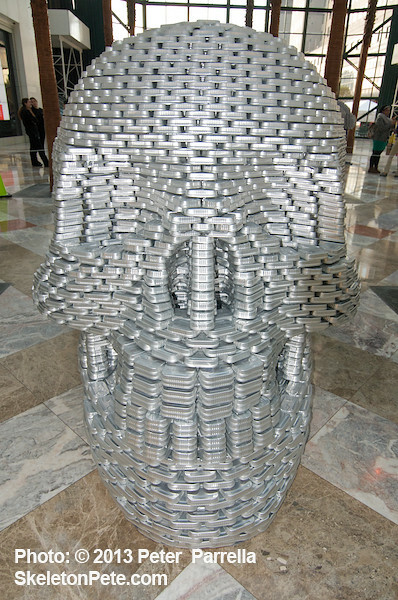 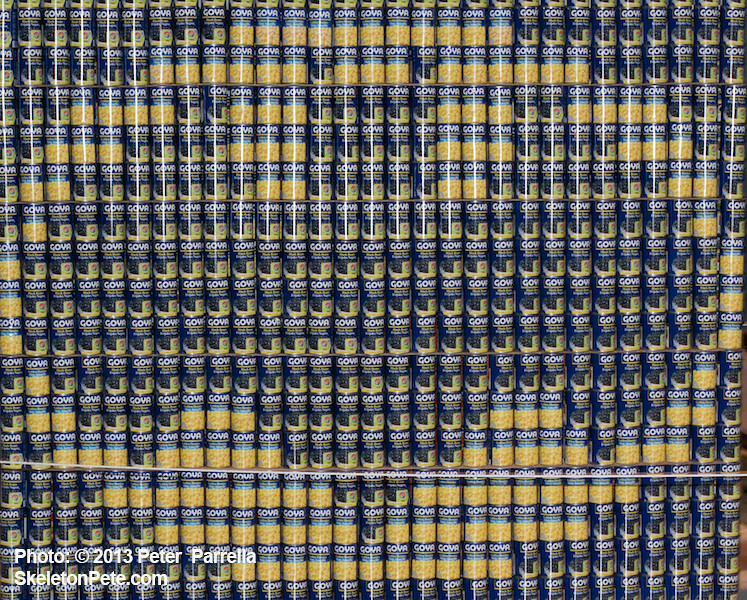 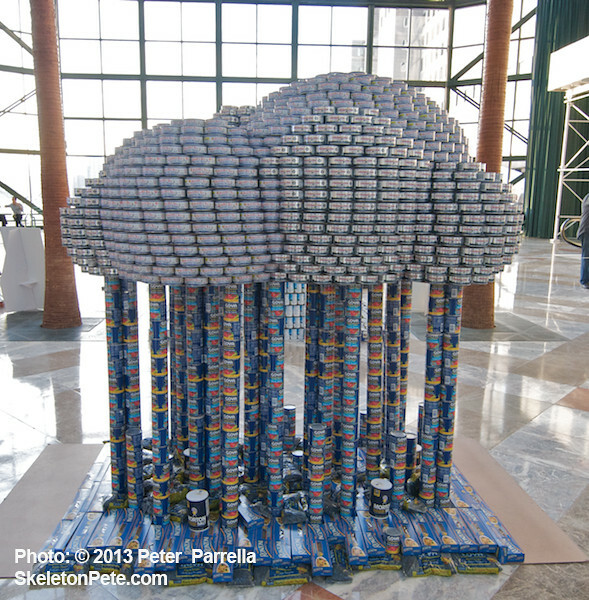 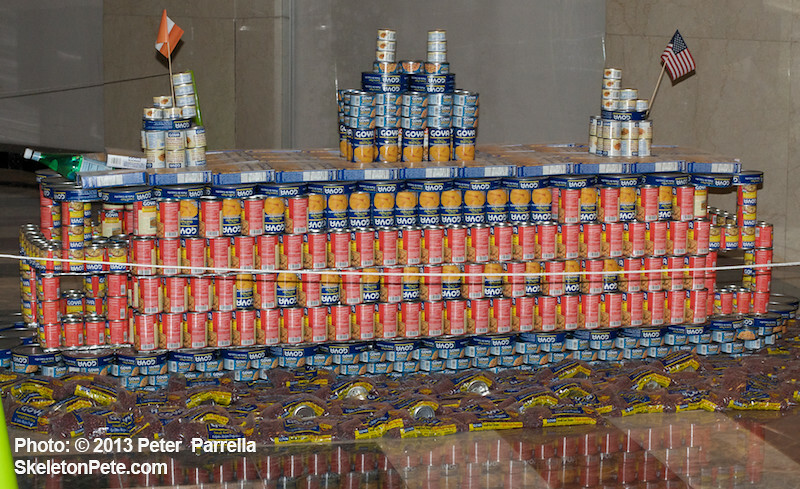 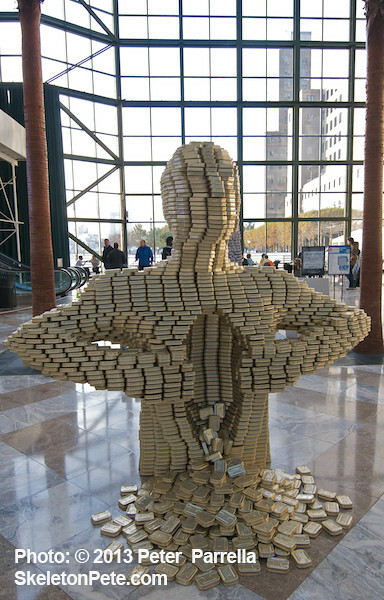 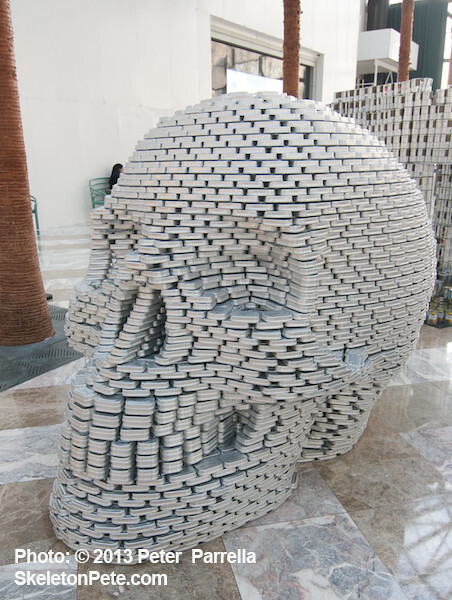 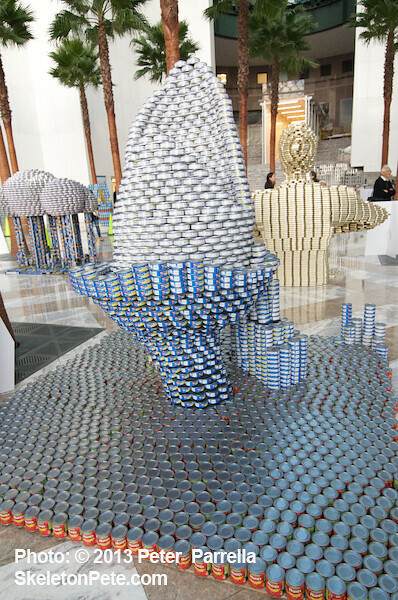 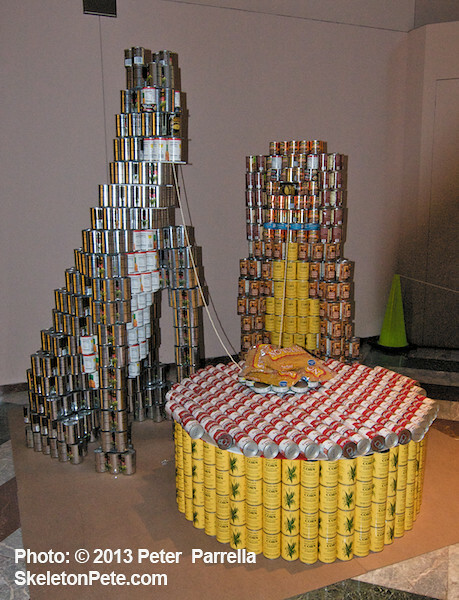 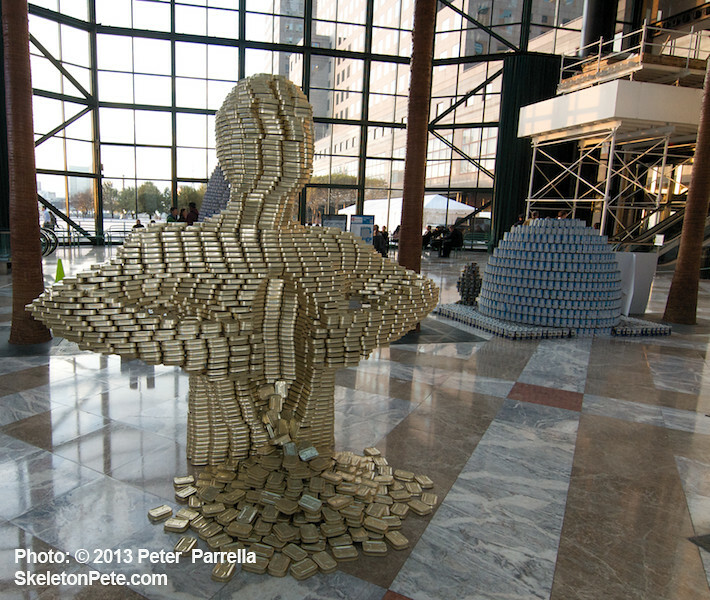 Events have been held annually since 1992 and Canstruction® has raised more than 21 million pounds of food since then. Last year’s New York drive aided nearly 100,000 residents. 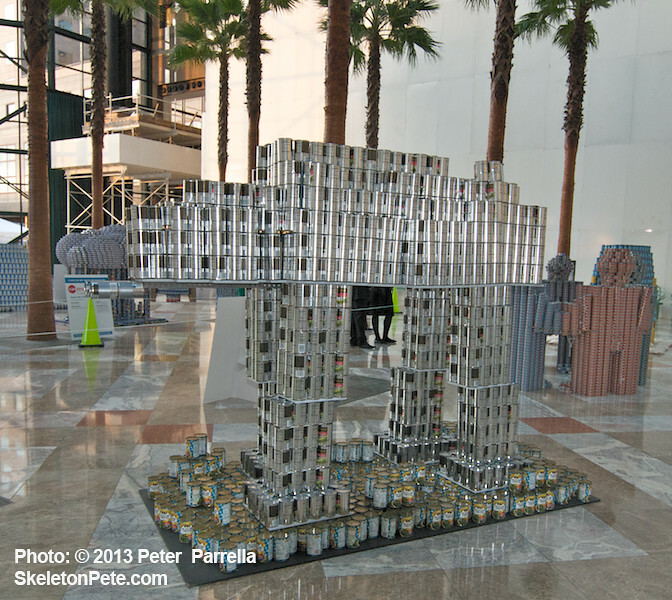 Kenny Pierce of the PiercingMetal webzine and I had a fine time perusing and photographing these skillful works to share with you. 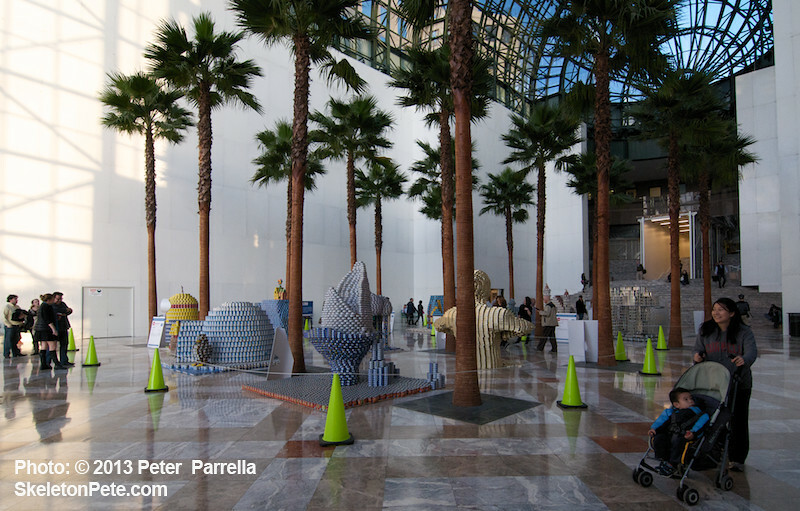 In reality, their sheer size and design ingenuity needs to be experienced in person, so get yourself out to WFC before it’s gone. 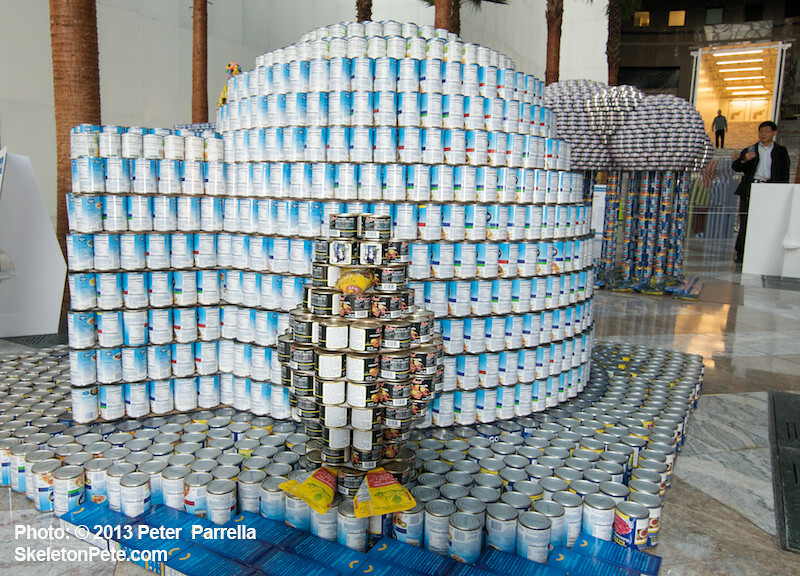 You can also chip in while you’re there. 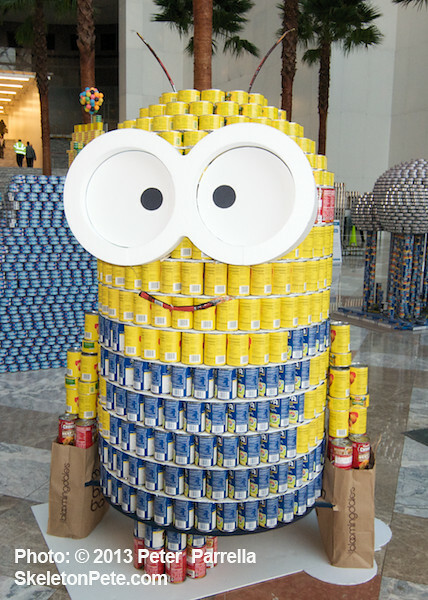 There’s a nice big bin on site into which you can roll your non-perishable food donations. 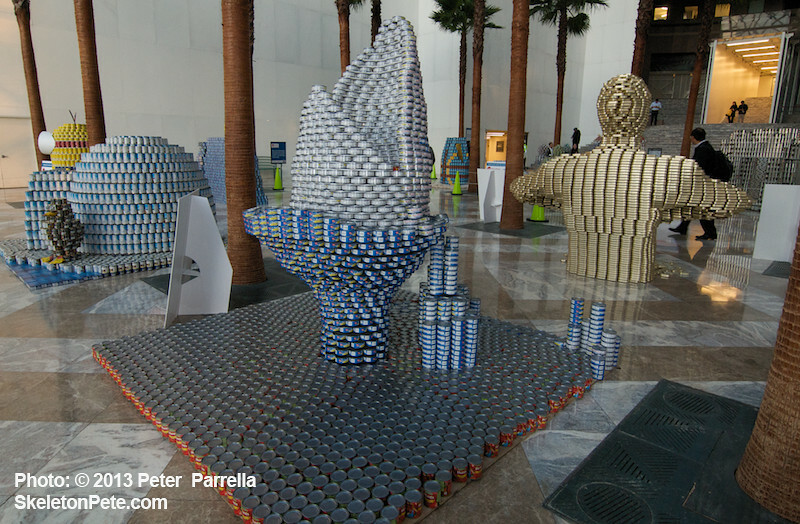 More information about the creators and a chance to vote for your favorite CANstructs at this Facebook page.